A user can select database file from the left-side of the window. The Access ACCDB file Viewer tool allows a user to scan & load the file easily. One can view all the contents from the tables instantly. A user can load the file of any size as there is no limitation on the file size. ACCDB Viewer Tool allows you to open & view corrupt Access ACCDB File. You can open healthy as well as the damaged file without any worry. There are chances when a person is unable to open the file. But with the help of this tool, you can view the database file in Microsoft Access. ACCDB Viewer Tool is an effective and independent software. There is no need to install any supportive application like MS Access. One can easily read contents of Access ACCDB database file without installing any external applications. There are numerous of features that are provided in Access after version 2007. With the help of these features, you can easily include attachments according to the new database format. You can also access multivalued fields in the database. ACCDB File Viewer shows the preview of the selected database with all the contents. You can view the data on the right side panel. All the tables in the database file are displayed on the left side. One can easily switch his tables to view all the attributes. The tool is created with a simple GUI that one can easily handle it. With the help of ACCDB Viewer, it becomes easy for a novice user to view the contents of ACCDB database file on Windows platform. It is easy to repair & view corrupt database file. The MS Access ACCDB Database viewer is pre-bundled with many features that will help you to view the data easily. If the MS Access 2010 is unable to open the file, then the file is corrupt and it will not display the data. Then, you can use the tool to view ACCDB file even if the file is damaged. View tables, queries, forms, macros, reports, etc. within the ACCDB file using the tool. This Access ACCDB Viewer Tool for Windows supports multiple versions such as 10, 8.1, 8, XP, etc. The software is compatible with different versions of MS Access and ACCDB database files created in Access of versions 2007 & above are fully supported by the tool. The application is completely standalone and it allows you to open .accdb files without Access installed on your computer. What is a .accdb file? This is a propriety extension file which used in MS Access 2010/2007 versions for data storage. With the help of new features after Access 2007, one can easily add the attachment, use multivalued fields and integrate it with SharePoint and Outlook. 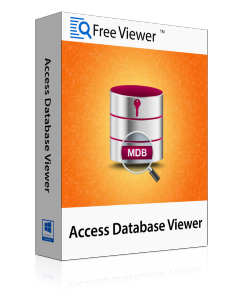 The Trial version of Access ACCDB Viewer Tool shows only the preview ACCDB Database file. Explain how ACCDB Viewer Tool works? Step 1: Install the application and start it. Step 2: Navigate and Browse ACCDB database file from location you have saved. Step 3: After selecting the file, scan and load the repaired ACCDB file. Step 4: Now, you can view all the tables within the database file on the left side. You can also switch from one table to other in order to view data in table on right side of the window. What Access version the software supports? The ACCDB File Viewer software is compatible with Access version 2007 and above like 2010, 2013, 2016. My Access databases got corrupt will I still able to view the data? ACCDB Viewer software works on corrupt data as well and in most cases you will be able to view your Access ACCDB format data instantly. Does this software runs smoothly on Windows 8.1? Yes, ACCDB File Viewer tool works smoothly on Windows 10, 8.1, 8, 7, XP, Vista and all below versions. "I am impressed with the software that FreeViewer team has developed. I don't know why my Access application has stopped working but then, this utility helped me a lot. I have to open and read the database file and then where this software works for me!" "It was a great experience while using this tool. I didn’t stuck on any step. The tool works smoothly and effectively that despite corrupted ACCDB database file, I was able to open and view all the tables within the file. I must that the ACCDB Viewer Tool works really good." "The interface of the application is very simple that even as a novice person, I was able to view the contents of the database file. I had ACCDB file of the older version and I was unable to view an updated version of the software. Then ACCDB File Viewer tool helped me a lot. This tool really works smoothly!!" "ACCDB Viewer allows me to repair corrupted Access database file. Due to some reasons, my file got infected and damaged. After using this utility, I got the chance to recover & view all the data from the file. This software is really amazing!"